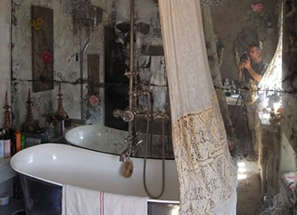 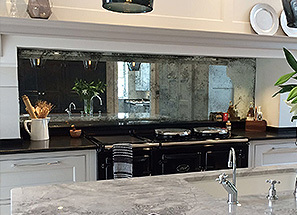 Antique mirror glass creates a very attractive feature in kitchens and bathrooms. 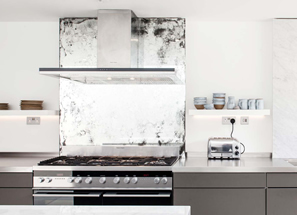 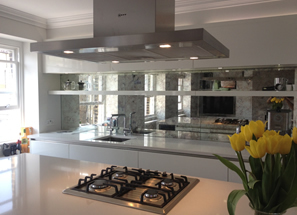 Typically splashbacks are toughened, particularly if positioned right next to a heat source. 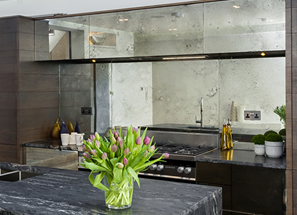 Antique mirror glass creates a very attractive feature in kitchens and bathrooms. 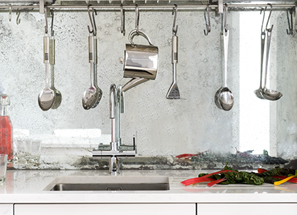 Aesthetically it works well with both traditional and contemporary kitchens for splashbacks, and its ability to hide splash-marks helps on a practical level too. 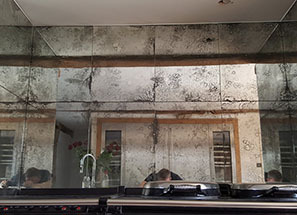 However, in a kitchen, provided the heat source is at least 200mm from the mirror, and no pan can rest directly on the glass while on the hob, then toughening is not required. 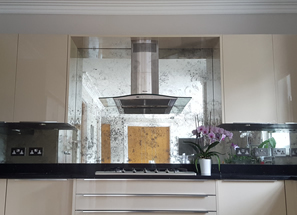 Equally, if cut-outs are required for sockets or switches, then provided they are more than 50mm from the edge of the glass (or another socket), then toughening should not be required. 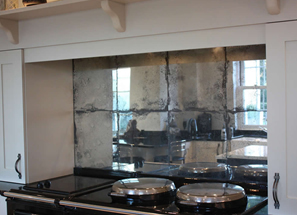 If you are in doubt about the toughening options (which may determine your choice of style), we recommend you take some photos of the area in question and forward them through to us and we can provide some advice. 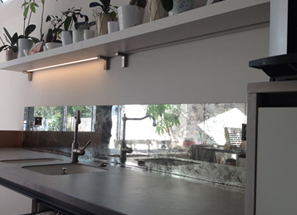 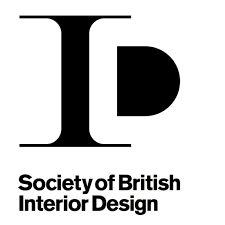 For some styles we can offer lengths of up to 3 metres (provided the height is no more than 1 metre), but sometimes long lengths are best divided into 3 panels for both aesthetic and practical requirements, especially in relation to access and installation. 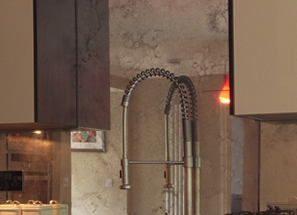 Lead times range from 2 to 6 weeks depending on the chosen style. 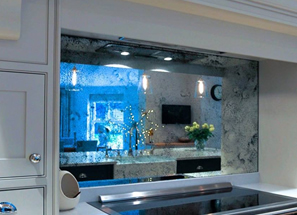 We also offer a full survey and installation service, with prices starting at £590.00 plus VAT which includes two site visits in and around the London area / M25 and all adhesives and sealants. 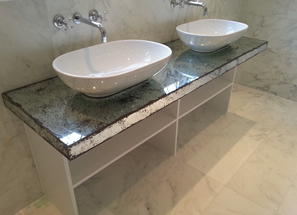 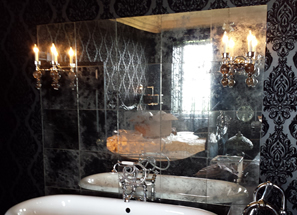 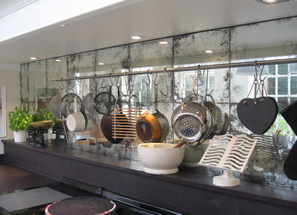 Interested in an antique mirror splashback project?